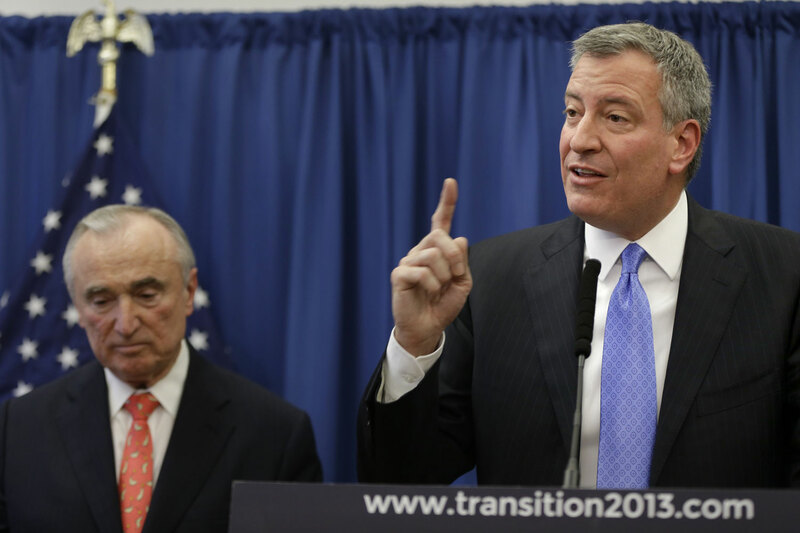 Subway Arrests Are Up 300 Percent Under de Blasio and Bratton. Why? Overall stops and arrests are down, but arrests of panhandlers and peddlers are way up. In the first two months of the year, arrests of peddlers and panhandlers on subways have more than tripled over the same period last year, with the police recording 274 such arrests as of March 2. By this point last year, they had made 90 such arrests.… Police statistics also indicate a noticeable spike in arrests for low-level violations in public housing developments. On New York City Housing Authority property, arrests for felonies are down nearly 5 percent and arrests for misdemeanors are nearly flat. But arrests for violations—a category of infractions that includes drinking beer in public and riding a bike on the sidewalk—has increased by more than 21 percent. The Times also points out that stop-and-frisk encounters, which decreased dramaticallty in 2013, fell by an incredible amount so far in 2014, from 5,983 year-to-date last year to 353 so far this year. Overall arrests are also down. And the information on subway busts is public only because Commissioner William Bratton decided to be more transparent than his predecessor, Ray Kelly, had been. Given that stops and arrests are down overall, and that crime is lower so far this year compared to last, what does the uptick in peddler/panhandler arrests mean? When there’s a pronounced increase in a particular kind of enforcement, sometimes it’s a response to what cops call “conditions”—problems that have been identified in a command (e.g., there’s a slew of complaints about bar patrons getting rowdy on their way home, so the cops establish a presence near the watering holes at closing time). That could be what’s behind these numbers, though subway crime overall was down last year. On their face, of course, the numbers conjure up memories of Bratton’s first stint as top cop, in the first years of the Giuliani administration, when mass arrests around so-called “quality of life” crimes were explained as reflecting a “broken windows” theory of urban disorder, in which tolerance for minor crimes was thought to create an atmosphere in which more serious offenses were more likely to occur. Some, of course, look back on that era of policing fondly. Others—namely the people who have protested de Blasio’s decision to bring Bratton back to One Police Plaza—recall the “broken windows” surge in arrests as the start of an era of aggressive, racially targeted policing, eventually encompassing Howard Safir’s street crime unit and evolving into the mass-arrest, stop-and-frisk strategy of the Bloomberg years. Here’s where a little communication by the mayor would be handy. During the campaign, he made many legitimate criticisms of the Bloomberg NYPD but had little to say about what his own approach to fighting crime would be. The VisionZero effort is an ambitious redirection of some police resources. But what’s the overall approach, and how do record arrests of people asking for change or selling candy (not for any basketball team, but just to do something positive and put money in their pocket, you might say) fit into it?